Having a sauna is more than sitting on the sauna bench and sweat in the hot air. It can be considered as a”travel” with different”stations”. When we finished every station, we can understand the harmony of body and soul. As the historical description about the spreading of sauna says, we know that those travellers who went to north were invited to a 90-100 °C room. As the respect of them, they were allowed to take off their clothes, and they were promised to be hit soon with a birch. At that time, the guest usually ran away saying that he/she did not want to get such great respect. In other parts of Europe this habit of the northern people was called”Travel to hell”. It needed many centuries to learn what lose the one who says no, when the host invites them to have a sauna. The characteristics of the classical Finnish sauna are the high temperature and low moisture. The pores expand as a result of 80-100 °C, and as the person sweats the toxins will disappear from the body. The ideal time to take a sauna is 20-40 minutes. If you want to be more relaxed, it is worth to repeat once or twice with 10 minutes pauses. If one takes a sauna regularly, it helps to get rid of stress. However it is good to know that in case of circulatory disorder, e.g. varicose vain, cardiovascular diseases taking a sauna is not recommended. * Having a sauna is time consuming, and takes at least for one or two hours. * Before having a sauna, one should not eat fatty food, but it is not good to take when somebody is hungry, because the blood sugar can get low, and one can be sick. After taking a sauna, the water loss must be saved. * Having a shower with warm water help to start sweating. * You have to spend as much time with relaxation and having rest outside the sauna, as much you sweat in. * do not wear make-up and jewellery in the sauna. 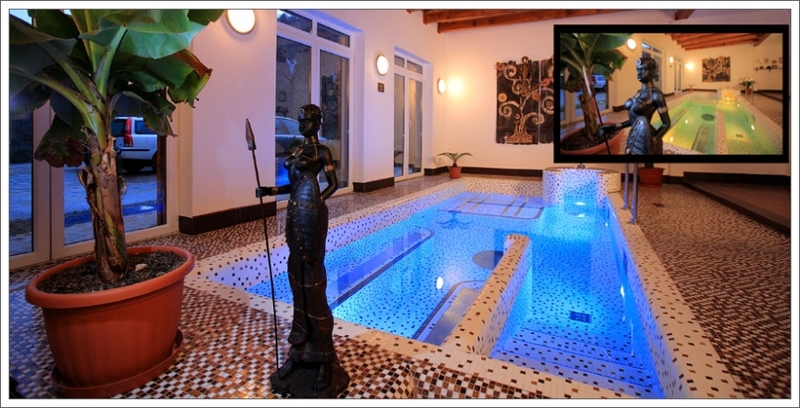 It is a deep warm treatment that regenerates the muscles, the skin, and the body texture. The great advantage of the lower temperature (35-55 °C) is that it does not impact the body as much as the Finnish sauna. 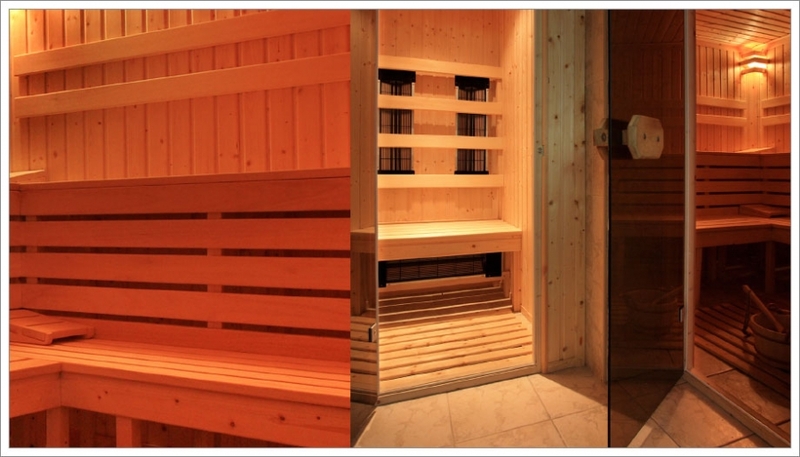 The infrared heat source does not heat the air, like the traditional sauna, but the body. So that at the lower temperature the body sweats more, and it has deeper effect. It is used for painkilling and to make cellulitis disappear. It cleans and tones the skin, and makes it more flexible. The infrasauna decreases stress and fatigue. What is the use of infrasauna? * It can be used for treating many kinds of illness in therapy, e.g. joint inflammation, rheumatic pain, muscle aches, wrench, sprain, cold, allergy, digestive system problems, cutaneous disease, kidney failure, etc. * It can excellently used for fitness as well: it is the most effective and healthiest tool for loosing weight because apart from burning calories quick it removes the useless products, toxins as well. By rearranging the muscles, it shapes the body properly. * By removing the toxins it enables the immune system, increases our power to save our health and heal ourselves. If there are toxins that are difficult to remove from the body (e.g. heavy metal), by infrasauna it is possible. * In long term it slows down aging. * As its temperature is lower (40-50 °C), its use provides more pleasant atmosphere, and relaxation as a result of easing muscles. * by deep cleaning it makes the skin younger, and helps get rid of cellulitis. * in sport it is appropriate for warming up, or to make the healing of injuries quicker. * it makes you alert, and improves your physical and mental performance. Following the next pieces of advice, you can make your saunabath restful and enjoyable. You should have enough time. Do not rush with taking a sauna; otherwise you can not experience its effects maximally. Having a sauna is possible only in quiet. Before going into the sauna, you should have a refreshing shower. First of all, it has hygiene reasons, but the refreshing effect of water is important for the body. You should put a towel on the sauna bench what you sit on. It has hygiene causes, and it saves you from the hot bench, so that you will not burn yourself. The temperature of the sauna. 80-90 °C (maximum 100°C) is enough to enjoy the remedial effect of the sauna. You can splash water on the rocks to create a little steam. It does not worth to splash too much water on the rocks, because the sudden increased steam shocks the skin, does not let gradual sweating to start. Furthermore, the very hot steam makes you feel unpleasant. How long should you stay? The “Who can bear longer?” race is very unhealthy, and it is against the intellectuality of taking a sauna. That depends on your preference and overall health status. The most important role is to stay in till you like. The recommended time to spend in the sauna is 8-12 minutes (for beginners 4-8 minutes are recommended). Generally this time is enough for the body to increase the temperature and the natural sweating will start (it is not the same with the condensing water vapour that caused by splashing too much water on the rocks). Cooling our body suddenly and drastically is not healthy at all. Having a sauna bath consists of two phases. The first is the glow in the hot sauna, and the other is the phase of cooling and resting. In the cooling phase we can have a refreshing shower, or take dip in a pool, or in a tub. You can use cold or warm water, it depends on you. Never take a bath in hot water, because the point of the cooling phase is that the body will cool down to its original temperature. After these you should sit comfortably, or lay down and rest for a few minutes before go again in the sauna. Dipping in icy water or rolling in the snow is for experienced, old stagers. How many times should you go back to the sauna? The phases of glow and cooling can be repeated as many times as you like. Sometimes it is enough to go in once, and sometimes the body would like to glow more often. Those who often have a sauna, usually repeat the glow three times. Finishing. Give yourself time to rest. Do not be hurry; you can put on your clothes later. Relax and enjoy the pleasant feelings caused by taking a sauna. Have a shower, without shower gel and soap. As a result of hot steam, our pores are expanded, cleaned; there are not bacteria and other wogs. For worrying mothers we say that it is not necessary to”sterilize” the child with fatty soaps and other chemicals, because they close the expanded pores. Last, but not the least, you should not drink alcoholic drink and have a big meal during and after taking a sauna. Some snacks and a refreshing drink can be perfect finish for an enjoyable saunabath. Have a great time, and have a good relaxation. The article is based on the writing of Erkki Helamaa. You can find the original article on the website of szaunapont.hu. Water has an extraordinary effect. If you want to get rid of the everyday stress, or want to have a massage to ease your muscles and joints, the hydromassage provides pleasant refreshment – and all this in natural environment. In Hungary the bath culture is not unknown. Water, as a primary element, source of life, and ideal medium for human body. In adequate temperature it provides the floating in the womb. It has unique affect for the body and soul that can not be replaced by chemicals and other methods. The hydromassage is the harmony of water and air that improves blood circulation. While having a bath the temperature of the body increases, the blood circulation fastens, and the blood pressure decreases. Oxygen transported for the cells, and the quantity of nutriment multiplies. The skin pores expand, the body texture, the muscles ease. These effects can be enhanced by hydromassage, that can be recommended for locomotor disease and rheumatic pain, or prevent varicose vain, and cellulitis. The effect of hydromassage is important in treating stress and fatigue. The weight of body will be 90% less in water, so that the muscles and joints can get rid of its load, and you can float weightlessly in the medicinal water. The mixture of warm water and air is the jet of the hydromassage. This powerful jet relaxes the tense muscles and helps to produce endorphin, what is the body’s natural painkiller. The hydromassage provides more than a good massage. The pleasantly sparkling water provides the mental and emotional recreation as well. Fifty minutes in the morning, and it helps to start your day. A dip in the evening and you will sleep deeply and calmly. If you try once, you use it every day. Colours have important effects on our body regardless we are aware of it or not. In everyday life different colours affect our body and mood. The orange, the red make us alert, just like the sun. The blue, the green, like the sky and the colour of the ocean makes as calm. The light therapy is completely accepted among the methods of alternative medicine. Our body can accept colour in different ways: by effulgence which is made by special machines; from sunshine (because this light contains every kind of light); through water that is filled with the energy of one defined colour; through food that shows its own colour; having bath in water that is coloured with natural essences; by clothes; by mediation, visualisation, breathing-techniques; and by massage with special products. Different kinds of colour bath harmonize with different parts of the day and seasons. For example, in the morning it is good to have a bath with warm colour. In a winter morning, orange or red bath is a perfect choice because it energizes the body. In summer, or in the afternoon, a green bath can have relaxing effect on our body. In the evening it is good to have a bath with cold colour, because it is relaxing. Be careful with yellow colour. Before going to the bed, one should not have a bath with yellow, because it refreshes our thoughts, and we can not fall asleep. The colour therapy is a light therapy, that is it does not have side effect, does not cause addiction, and apart from some rare cases there are not any contra-indications for it. It can be recommended with any other treatment because it helps to get rid of toxins from the body. So that it supports the effects of other therapies. Every treatment is effective by itself, but the regular use enhances affectivity. We do not have to be surprised by the fact that the colourful light has positive effect on our emotions and soul. The light therapy adventure pool provides this chance. Massage, therapy massage (medicinal massage), refreshing massage, beauty massage, sport massage, relaxing massage, hydratating massage… There are many expressions for massage and its different variants. Our rushing lifestyle, increasing stress, insecurity, not enough sport, inappropriate pose, one-sided physical burden – they all contribute that our muscles became tense and asymmetric. The massage is one of the most ancient and most pleasant method to prevent illness, healing and to preserve health – without negative side effects. It is important to enhance blood circulation, so that the different kinds of toxins will be removed quicker from the body, and the fat’s quantity will decrease as well. The tensed feeling and the adhered muscles can be treated in the subcutaneous connective tissues. Massage enhances the lymph circulation, changes metabolism, body temperature, breathing, diuresis, and the detoxication. After massage the performance of muscles will be more, and the muscles can work faster and they will have stamina. Massage has wonderful effect on the nerve system as well. 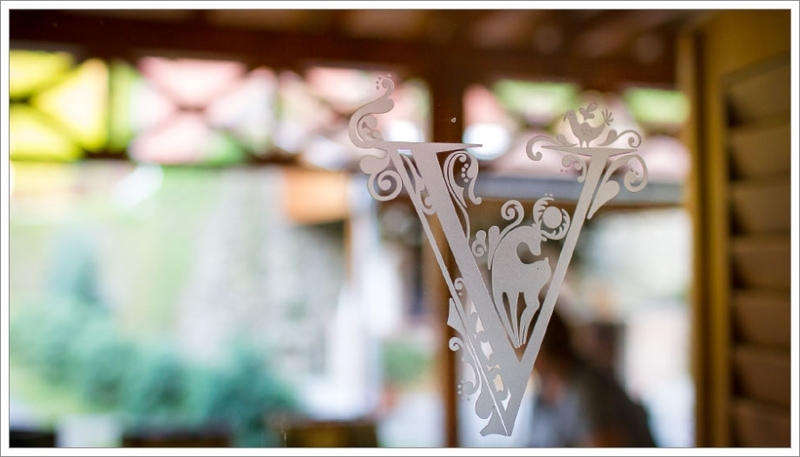 © 2019 Volgykapu Guesthouse – Hungary|ProPhoto Photographer Blog by NetRivet, Inc.